Receive regular reviews of your financial situation and enjoy comprehensive management of your existing assets. Get a bespoke solution compliment- ing your current situation, your personal goals and your future needs. Our team is always available to help you, support you along your financial journey and exceed your expectations. With more than 35 years of expertise we remain passionate, innovative and forthright in our approach.  As a leading financial advisory group Richelieu International provide a wide range of bespoke services including Investments Management, Financial Planning, Retirement Planning, Education Fee Planning and Family Protection. We endeavour to provide our clients with impartial and unbiased advice, wherever they live. Each of our solutions is tailored to meet our clients individual needs and aimed at getting them on the right path towards financial independence. Trusting us means building, optimizing and securing your Assets. It is looking forward and resolving any uncertainty. Do not let time take your choice from you. Make the choice to have a choice. Our highly qualified Financial Advisors will regularly review your personal situation in order to always update your Individual Financial Blueprint thus guaranteeing that you are always on track to reach your long term financial goals. With access to the market as a whole and an in depth examination of your personal circumstance, our experts will choose for you the perfect bespoke solution to fit your financial needs. Be a part of our team and contribute to the ever-growing success of an exciting enterprise. At Richelieu International, we are always looking for new talent. Whether you are starting your career or looking for new opportunities you will find a challenge that lives up to your ambitions. If you are selected you will be joining a team of highly energetic and experienced professionals. You will have the opportunity to work in a very stimulating environment with some of the biggest financial institutions. If you recognize yourself in this description, please apply for an interview with one of our Area Manager. LEGAL DISCLAIMER: The information contained on this website is for general guidance on matters of interest only. The application and impact of laws, rules and regulations may vary based on your country of origin, your country of residence and the specific facts involved. Consequently, no information provided should be taken as a recommendation to buy, sell, hold or directly invest in any asset, company, product or security. Furthermore, this website does not constitute a substitute for an in-depth consultation with a Richelieu International or Richelieu Europe Financial Advisor. Before making any decision or taking any action please consult one of our advisors […].